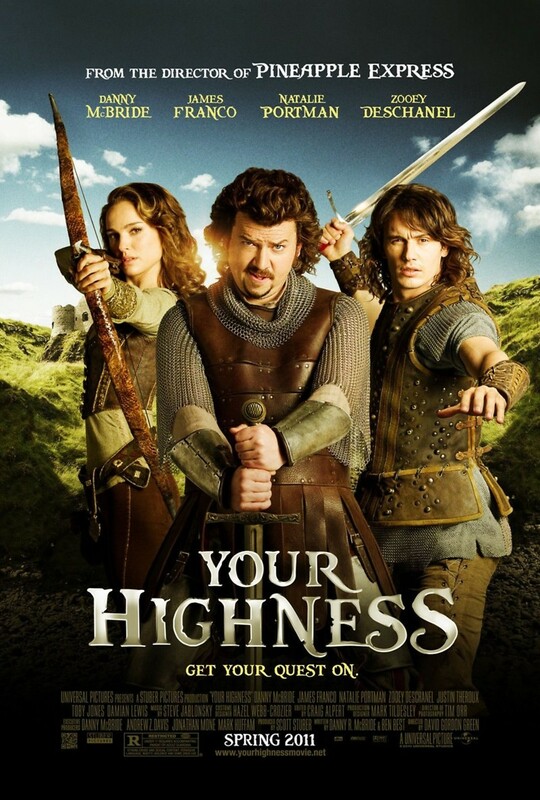 Your Highness DVD and Blu-ray release date was set for August 9, 2011. In order to rescue his abducted bride from the evil captor Leezar, brave Prince Fabious must embark on a crazy journey with his slacker brother Thadeous. Along the way, the sons of King Tallious experience betrayal and crude surprises around every corner. They encounter a beautiful warrior named Isabel, who happens to be seeking personal vengeance against the same foe. The trio decides to work together to endure difficult battles with dangerous creatures along the way.